How Much Money Does a Professional Chef Make? A chef, also referred to as an executive chef or head cook, is a culinary professional who prepares menus, selects ingredients and creates food for customers and clients. Some chefs focus their skills in a specific culinary specialty such as cultural cuisine, pastries, catering, food and beverage pairing or molecular gastronomy. Salary for chefs can vary based on a number of factors such as work environments, expertise and overall responsibilities. 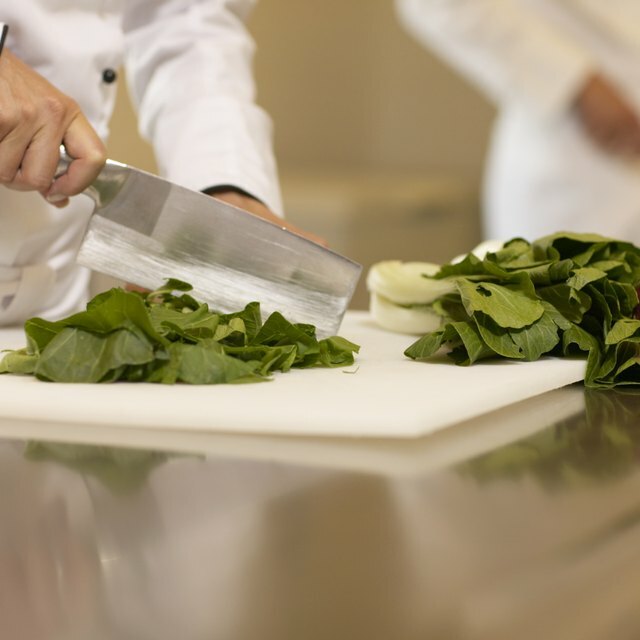 Although there are no specific educational requirements for chefs, many attend a culinary arts program that results in an associate's or bachelor's degree. Some cooks and food service staff are promoted into the role of chef after displaying excellent skills in cooking. Chef should be creative; have the ability to lead and motivate others; and have an excellent palate and a keen sense of smell. Many chefs receive a base salary, bonuses, commissions and profit sharing. As of November 2010, 3,701 individuals in this profession reporting their wages to PayScale earned an average base salary ranging from $41,409 to $65,081 per year. Bonuses ranged from $1,431 to $7,681 per year, and profit sharing ranged from $1,927 to $8,024 per year. Chefs who reported earning commissions earned from $1,022 to $12,000 per year. The total compensation was reported ranging from $41,024 to $67,490 per year, according to PayScale. Some chefs may be self-employed, such as a consultant for food service establishments, and may not receive benefits directly from employers. Seventy percent of chefs working for employers reported receiving health care benefits: 69 percent received medical care, 51 percent received dental care and 36 percent received vision care. What Are the Qualifications for Being a Food & Beverage Manager? What Qualifications Do You Need to Become a Chef? What Does it Mean to Be Servsafe Certified? Chefs can work in a variety of hospitality industries including restaurants, golf clubs, hotels and catering services. The highest salaries were in the restaurant industry, according to PayScale, where chefs earned average salaries ranging from $42,799 to $64,892 per year. Chefs who were employed by golf clubs earned average salaries ranging from $41,211 to $62,734 per year, and those who worked for hotels earned average salaries ranging from $41,541 to $62,657 per year. Salary can increase for chefs as they gain professional experience. PayScale reported the majority of chefs -- 40 percent -- had between 10 and 19 years of experience, earning average salaries ranging from $43,037 to $64,637 per year. Those with five to nine years of experience earned average salaries ranging from $38,588 to $56,980 per year, and those with more than 20 years of experience earned average salaries ranging from $48,567 and $72,981 per year.